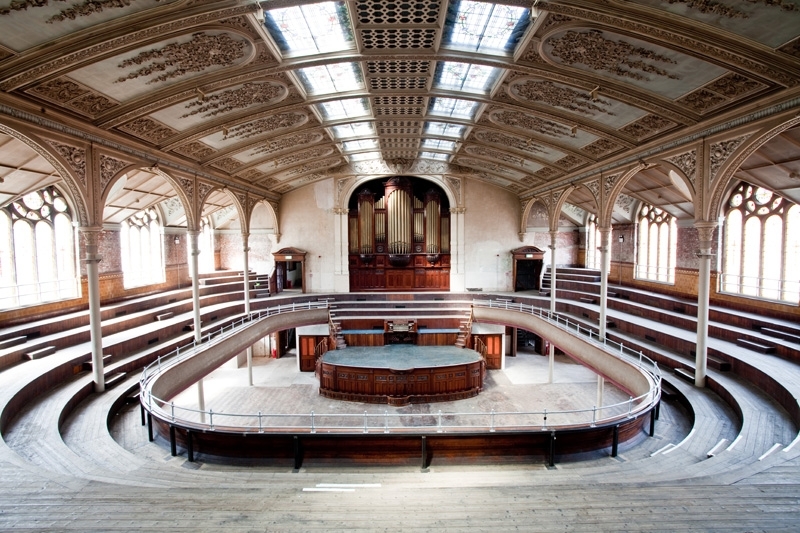 The Albert Hall, a forgotten Wesleyan chapel in the centre of Manchester, being restored and resurrected as an unrivaled events venue, restaurant, and bar. We deliver a prestigious calendar of live music shows. It’s what we do. In 2013, a friend of ours asked if they could have their special day in The Albert Hall. Of course, we said yes. Since then, more and more people have tied the knot with us. Now weddings are what we do too. We can host weddings and private parties for up to 300 guests and provide a range of creative wedding styles; from formal banquets to music hall picnics, hog roasts and beer festivals to street food feasts. Our Grade II listed home is located on Peter Street Manchester, adjacent to Deansgate, making it one of the most accessible and central weddings and events locations in the city.